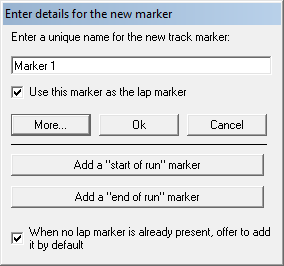 Note: there are some settings that affect how the “start of run” marker is handled in the “lap and sectors options”; more information is available here. When you are adding the special “Start of Run” or “End of Run” markers it is either possible to type the name in directly, or you can click on the more button and then use the additional buttons that appear. The only difference is that by using these additional buttons, it avoids any possiblility of typing errors in the names of the markers and it’s faster, functionally it makes no difference when compared to simply typing the name in. 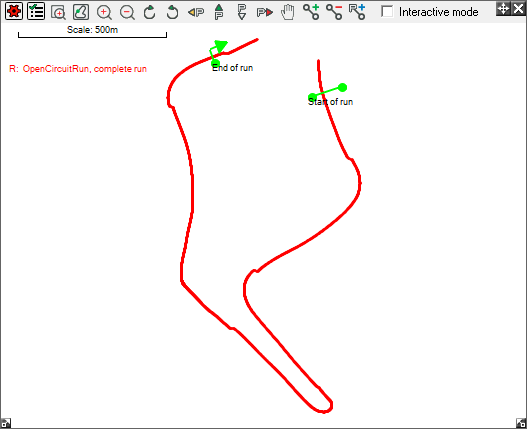 Once there is a “Start of Run” and “End of Run” marker added to define the start and end point then all the analysis can proceed just as if it is a single closed lap. 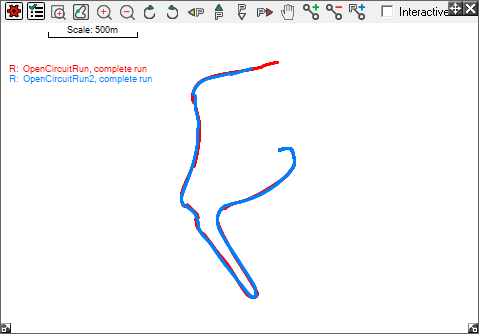 The “start of run marker” is treated as a special case in the software and it’s sometimes useful to understand exactly how it works. 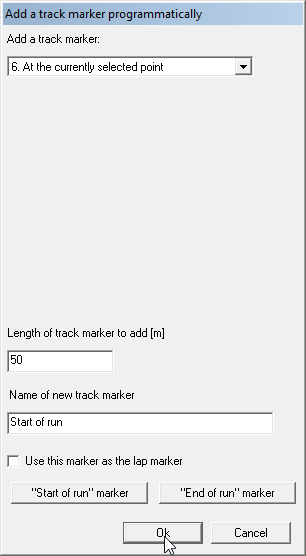 When we place a normal track marker, then the software simply works out where the track marker crosses the track data and then this information is used for the timing etc. In the typical case where the vehicle is moving quite quickly then this works perfectly. For example if we assume a very typical case where the vehicle is moving at 80kph and there is 0.5m positional drift between 2 laps, then the resulting timing error will be about 2/100ths of a second. However at very low speeds then the error can be quite large. In the case of a standing start there is a big problem. If there is any drift in position between the 2 sessions then the timing errors could be huge – so big that the results would be meaningless. 2. 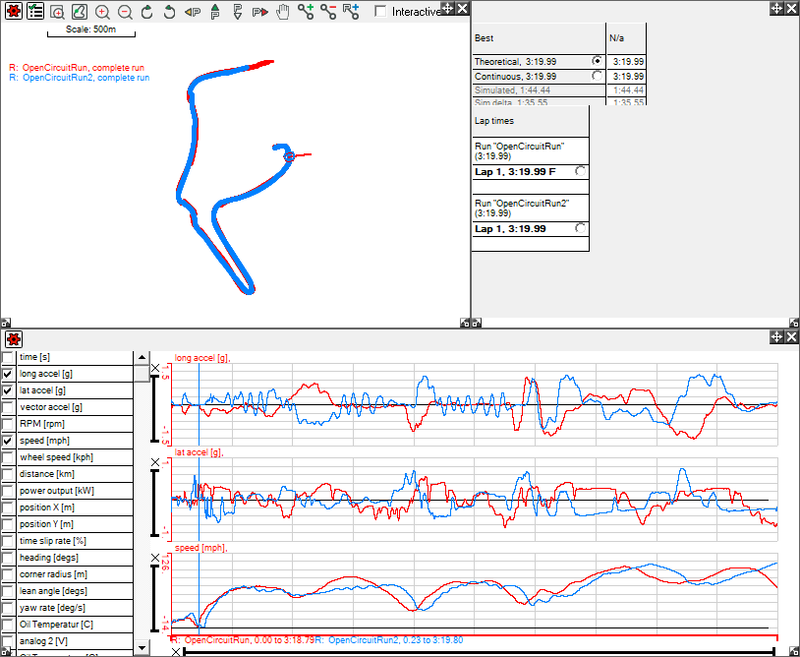 To locate the start of the first run it is normally best to locate the point at which the vehicle pulled away in a graph of speed and acceleration. In this example this point has been selected in the quick graph, alternatively a regular XY graph could also have been used. 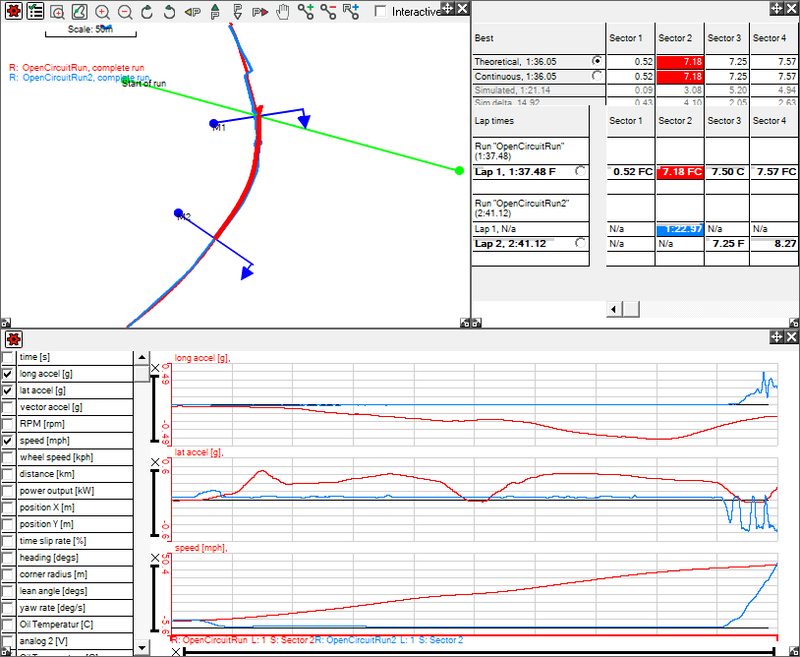 Just for interest, if the code that aligns the start point is disabled then there is a large offset in the starting points of the data and it cannot be directly compared.